ALGUNOS DE LOS ENTRENAMIENTOS QUE SE HAN REALIZADO! 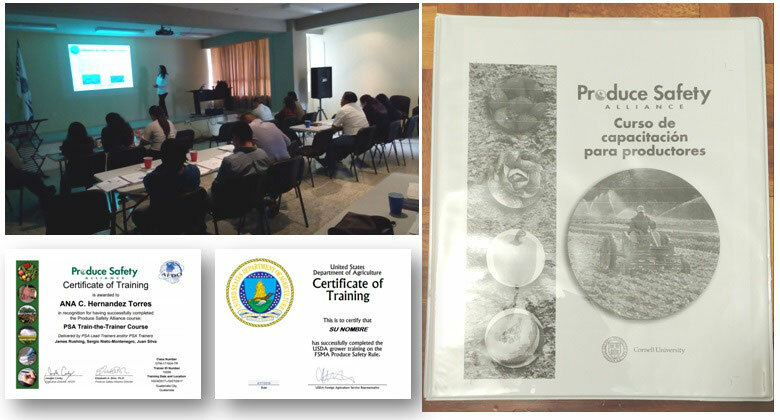 CURSO GRATUITO SOBRE EL TEMA NORMA DE PRODUCTOS AGRÍCOLAS FRESCOS DE LA NUEVA LEY DE MODERNIZACIÓN DE INOCUIDAD DE LOS ALIMENTOS (FSMA POR SUS SIGLAS EN INGLES) DE EE.UU. A REPRESENTANTES DE DIVERSAS AGROEXPORTADORAS DE LOS DEPARTAMENTOS DE ESCUINTLA, ZACAPA, CHIQUIMULA, GUATEMALA, CHIMALTENANGO, Y OTROS. ACTIVIDAD LLEVADA A CABO EN EL AUDITORIUM DE UVIGER-USAC, CIUDAD UNIVERSITARIA ZONA 12. 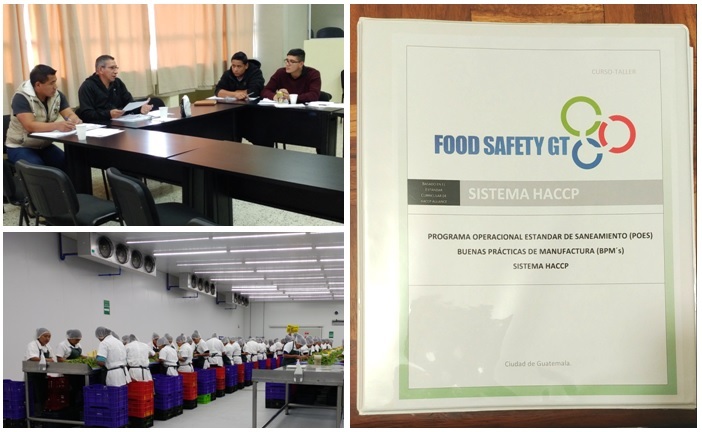 CURSO-TALLER "IN HOUSE" SOBRE EL TEMA SISTEMA HACCP (Hazard Analysis and Critical Control Points) EN BASE AL ESTANDAR CURRICULAR DE HACCP ALLIANCE A AGROEXPORTADORA DE EJOTE, ARVEJA, ZANAHORA, ENTRE OTROS MINI VEGETALES, UBICADA EN EL DAPARTAMENTO DE SACATEPEQUEZ, GUATEMALA. 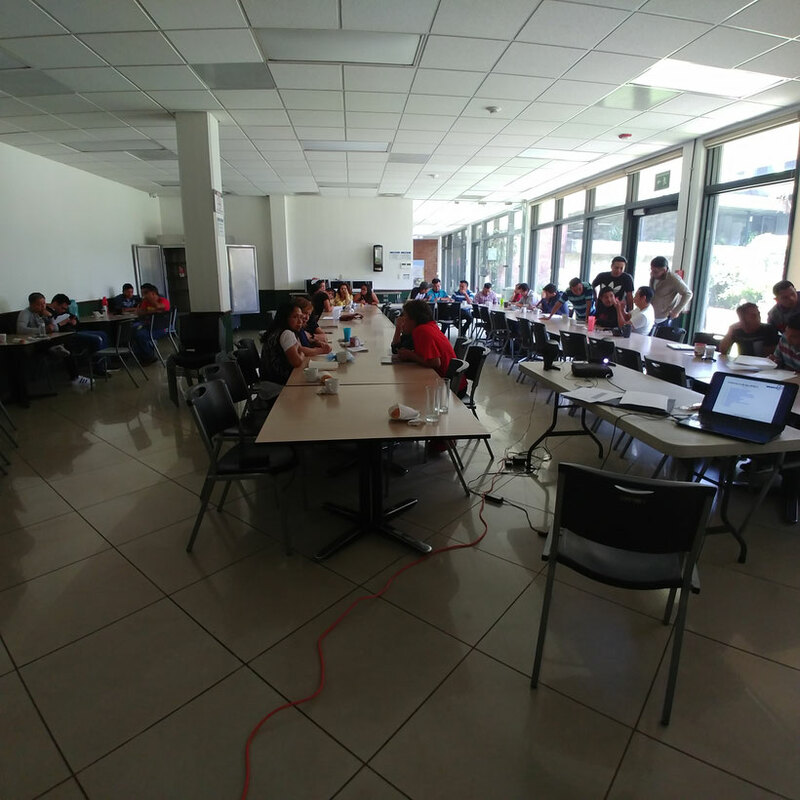 CURSO-TALLER "IN HOUSE" SOBRE EL TEMA DE BUENAS PRÁCTICAS DE MANUFACTURA A EXPORTADORA DE MANÍ Y CAFÉ EN DISTINTAS PRESENTACIONES, UBICADA EN LA CIUDAD DE GUATEMALA. 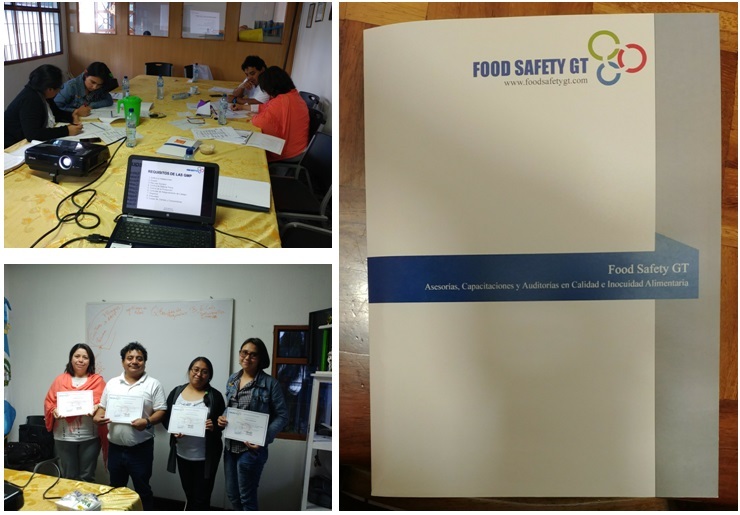 CURSO-TALLER SOBRE EL TEMA SISTEMA HACCP ( Hazard Analysis and Critical Control Points) EN BASE AL ESTANDAR CURRICULAR DE HACCP ALLIANCE A AGROEXPORTADORA DE ARVEJA, EJOTE, ENTRE OTROS MINI VEGETALES UBICADA EN EL DEPARTAMENTO DE JALAPA, GUATEMALA. ACTIVIDAD LLEVADA A CABO EN EL SALON DE AUDIOVISUALES DE UVIGER-USAC, CIUDAD UNIVERSITARIA ZONA 12.